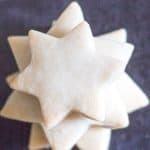 The Best Simple Two Way Shortbread Cookies, these are a delicious easy to make Shortbread Cookie Recipes, a delicious melt in your mouth cookie that you will make year after year. Choose the traditional Shortbread or Brown Sugar Shortbread. are probably the most awaited Christmas Cookies! Today, in my house I am dedicating to baking these easy Christmas Cookies. They always mark the start of Christmas. Doesn’t matter if I make another type of Christmas cookie, a bar cookie or even a sugar cookie, shortbread is Christmas for us. So to really get in the mood I slipped a little Christmas music into the cd player. I must say no one better than Michael Bublè to croon out a few holiday tunes! So sing-along I did. Unfortunately I can only dream about a white Christmas. I love Simple Shortbread Cookies, they practically melt in your mouth. I always had a friend who said that her shortbread was the best and made exactly how it should be made with only 3 ingredients, butter, sugar and flour. I would argue that my Mom made the best cookies and hers had five ingredients. And yes I still stand by my Mom’s. or you can also place the baked cooled cookies on a cookie sheet and freeze them, then move the frozen cookies to either airtight bags or containers. Baked Shortbread Cookies will last up to a month in the freezer. To thaw the cookies be sure to remove the frozen cookies from the bags or containers (this way no condensation will form) and let them thaw at room temperature. But to make her happy I would make her Brown Sugar Shortbread cookies, and I have to admit she did have a good argument, they are pretty yummy. I have recently discovered that a lot of people add corn starch (my Mom’s fourth ingredient) to cookie and cake recipes, they say for adding softness. So I guess my Mom knew what she was doing. Sorry my friend, I win! 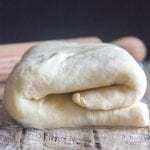 This dough is so easy to work with you don’t even have to roll it out, just pat to your desired thickness, (I tend to like them thicker, more cookie for the bite you could say). The baked cookies should be stored in an airtight container at room temperature for up to a week. To add a twist I even topped a couple of big stars with some Nutella and one with jam, then put some crumbled up dough on top. So grab your favourite Christmas cookie cutters and start cutting, 10 minutes in a low oven is all these Melt in Your Mouth Shortbread Cookies need. Let cool on a wire rack. 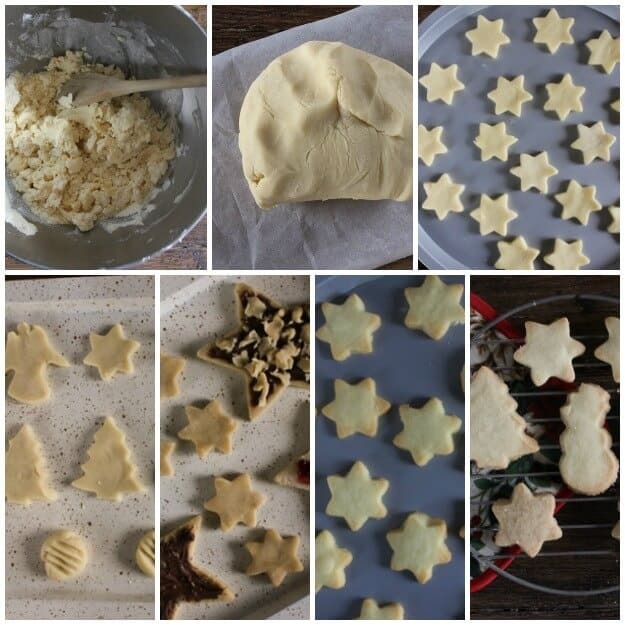 More Shortbread Cookies You May Enjoy! And why is it called Shortbread Called Shortbread? If you are like me and make your cookies ahead of time these freeze perfectly. And if you have cookie lovers in your house a lock on the freezer might be a good idea. So let me know, which Shortbread Cookie do you prefer? Enjoy! 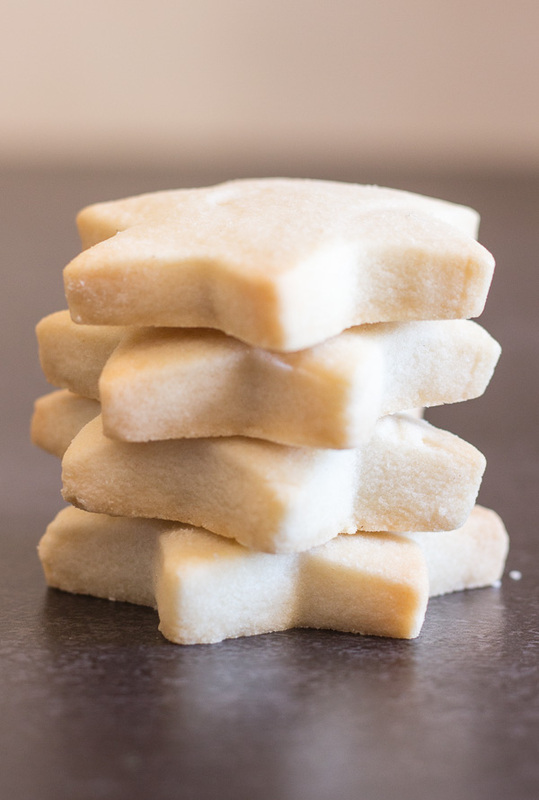 The Best Simple Two Way Shortbread Cookies, the ultimate melt in your mouth cookie. Traditional or brown sugar. Your new Christmas Shortbread recipe. Pre-heat oven to 325° (160 celsius). Beat butter until creamy. Sift icing sugar, corn starch, salt and flour 4 times (I know, but it is worth it) add to creamed butter a little at a time and work in with a wooden spoon as long as possible, then move to a lightly floured flat surface and knead till mixture cracks slightly. Pat gently to 1/3" thickness. Cut with Christmas cutters and place on ungreased cookie sheets and bake in pre-heated oven for approximately 10-12 minutes, don't let them brown. Let cool on cookie sheets. Cream butter until fluffy, add sugar and cream together, then add flour gradually and mix with a wooden spoon as much as you can. Move the mixture to a lightly floured flat surface and with your hands work the dough until it comes together and forms a ball. If it is too sticky, wrap in plastic and refrigerate for approximately 20 minutes. On a lightly floured surface roll to 1/2 - 1/3 thickness. Cut out with desired shapes, place on ungreased cookie sheets and bake in pre-heated oven for approximately 10-12 minutes. Let cool on cookie sheets and then remove to wire racks. 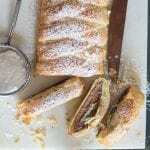 I am wanting to try your Mother’s recipe after reading all the positive feedback. How do you best store these and how long do they stay fresh? And what is the best way to freeze these? I would need them for this coming Thursday. So if I bake them today, should I freeze for Thursday? And if frozen what’s the best way to defrost without messing up the texture? Hi Tulin, to freeze the shortbread cookies, place parchment paper in between the layers of cooled cookies this prevents them from sticking together when they are in the containers for freezing or you can also place the baked cooled cookies on a cookie sheet and freeze them, then move the frozen cookies to either airtight bags or containers. They will last up to a month in the freezer. To thaw the cookies be sure to remove the frozen cookies from the bags or containers (this way no condensation will form) and let them thaw at room temperature. The cookies should be stored in an airtight container at room temperature for up to a week. Although if you are making them today then I would freeze them for Thursday. Hope that helps. Let me know how it goes. I just made your mom’s recipe and followed the instructions exactly, but added mini chocolate chips before rolling out. They turned out perfectly! This was my first attempt at shortbread, and I’ll definitely continue to use this recipe. Hi Michelle, thanks, great idea adding the chocolate chips. So glad you enjoyed them! I’m very interested in making these. One question is will this work if I don’t use cookie cutters but roll them out on a sheet pan to bake? Hi Bee Bee, you could actually do as another reader did and roll the dough into a log shape and then slice it and bake on a parchment paper lined cookie sheet (you may want to refrigerate the log for about 20 minutes before cutting. Hope that helps. I’m wondering if can use a kitchen aid mixer and use the hook attachment to knead your Mom’s cookie dough? Or do you suggest only kneading by hand? I can’t wait to make these with my daughter! Hi Vickie, I would advise you kneading by hand rather than a machine. You can get your daughter to knead. 🙂 Merry Christmas. I just made your recipe and they are fantastic from dough to cooked!! I believe in following instructions to a tee, But………. I’m old and have arthritis in my hands and the kneading about did me in! I saw you didn’t recommend to the previous commenter using a kitchen aid with dough hook. If I have to resort to the mixer to be able to continue to enjoy your recipe, how will it change he the integrity of the cookie? Have you or anyone reading this tried it? Hi Suzanne, thanks so much, I have never made it with the mixer, but I don’t see why not it would not work. Hopefully I can give it a try this weekend and I will get back. Have a great weekend. These turned out WONDERFULLY for me!!! I did your Mom’s recipe, but I used brown sugar instead of powdered sugar because I prefer brown sugar for my shortbread cookies. This was AMAZING. The cookies were melt-in-your-mouth soft and I couldn’t get enough of them. I know most people prefer crunchy shortbread cookies but I’ve never understood that. I’ve always loved soft shortbread cookies but I’ve had a hard time finding a good recipe. This is officially my new go-to recipe for shortbread cookies. Thanks Rosie! Hi Aria, thanks so much, so glad you enjoyed them. Yes I prefer soft shortbread too. Have a Merry Christmas. I made your Mum’s Shortbread Cookies yesterday. They turned out absolutely perfect and delicious. I made Christmas trees, with a single bauble as a Star. I have made them for Gifts along with everything else. I was a wee bit worried about the heat here & everything melting, as it is New Zealand’s summer, but all was fine. 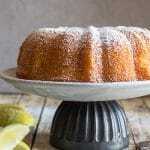 This recipe is definitely a wonderful “Keeper” Thank you so much for sharing. Merry Christmas to you and yours. Hi! I wanted to know how you keep the cutout shapes from “spreading” when baking. 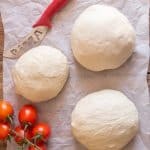 Should the shapes be well-chilled just before popping in the oven? Hi SC If you want you can chill them, but they have never spread when I make them. Be sure to use high protein (12% at least) all purpose flour and it should be fine. Hi, thank you for this recipe. I can safely say that made with my choice of Gluten free flour they came out beautifully, so light and buttery, which as unused dairy free spread makes me laugh as a descriptive term. I would probably add less cornflour as the GF flour I use has it added already. But that is a small adaptation. It isn’t often I come across an internet recipe that works so well first time around, especially when swapping for GF and DF ingredients. I then made a second batch of spiced ones using half coconut sugar and half powdered sugar. Great taste but not as easy to get a soft smooth dough. Even with much creaming of fat and sugar. It was interesting. I wonder if those that experienced problems with the dough hadn’t softened and creamed the butter enough? It does make a big difference. I know from experience. 😜 Anyway thank you again, today had been a happy Christmas baking day. Hi Julia, thanks so much, thank you for the info on the gluten free too. Yes sometimes people don’t follow directions 🙂 . Have a wonderful Christmas. I’ve made your mom’s recipe twice now and they were delicious both times! Sprinkled a bit of red and green sugar crystals on top for decoration. Tis the season! I love that they’re not too sweet either. I combined all the ingredients with a wooden spoon and formed logs. Kept in refrigerator until ready to bake. Just sliced them up and plopped them on the cookie sheet. These were delicious, light and buttery. (I made your Mom’s version.) Sifting four times really is worth it. I added chopped dried apricots, dried cranberries and bits of candied ginger. Hi Linda, thanks so much, I love the additions and yes my Mom would always say don’t forget to sift! 🙂 Have a wonderful Christmas. I was wondering do you use salted or unsalted butter? I tried your moms recipe and it truly was amazing!!! Hi Katie, thanks so much, so glad you enjoyed them. Have a Merry Christmas! Hi Heather, thanks so much. So glad you liked them. Have a wonderful Christmas. Can I refrigerate until ready to use? Hi Susan yes you can refrigerate the dough until ready to use, let it sit at room temp for about 15 minutes more or less to soften up a bit. It will keep in the fridge up to 3 days. Let me know how it goes. Loved your momma’s recipe. Made them two weeks ago. Have to make more now. They do take some work to ensure they are well blended but are oh so yummy! Hi Shona, thanks so much and yes it does need quite a bit of needing. Have a great weekend. Great cookie. I used my Kitchenaid mixer rather than needing by hand. Had to add about 2 more tablespoons of butter for dough to come together nicely. 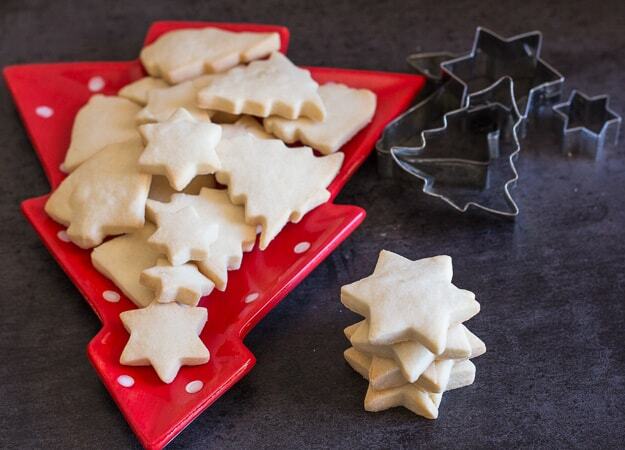 Recipe made 56 cookies using a 2 inch star cookie cutter. Hi Elena, thanks so much, so glad you liked it. Have a great weekend. My kids enjoyed them, but they just didn’t do it for me. I tried the “mom’s” recipe. They looked beautiful straight out of the oven, but when biting in to them, I just didn’t enjoy the texture. They were melt in your mouth soft, which is great, but they just seemed like dry, sweetened flour. Maybe I didn’t kneed the dough enough?? It’s probably just a matter of preference. I’ve been looking for a specific recipe that reminds me of a shortbread cookie I had long ago. Since these didn’t taste the same, it’s probably just my brain telling me to keep searching for that specific recipe! Thanks for helping me on my search! These turned out great. I whipped the butter first and added 1/4 tsp of pure vanilla extract. I also cut the flour to 2 1/4 cups. Thanks for posting this. It seems most shortbread recipes require a cookie press. I don’t get along with those things. Some also state to use granulated sugar. I just can’t bring myself to use it. Hi Christine, thanks so much, and I know what you mean about the cookie press :), so glad you liked them, have a great weekend. Hi Diana, thanks so much, I do use pastry flour in some recipes but not all. When I do use it I will write it in the ingredients. Hope that helps. Made “Your Mom’s Shortbread Cookies today and they turned out amazing soft, tender and it sure melts in your mouth! I used my Artisan Kitchen Aid Stand Mixer and no problem, as soon as the butter and dry indregients comes together STOP. I also didn’t used a cookie cutter instead just formed a mall balls, size of a Walnut, dressed it up with different toppings and put it in the fridge for 30 minutes before baking. I baked mine at 300 degrees F gas stove for 25 minutes and it is perfect – no browning! Hi Rae thanks so much, and thanks for the great tips and idea. And a Happy Holiday to you too. Did you use the dough hook or the paddle attachment when making these? 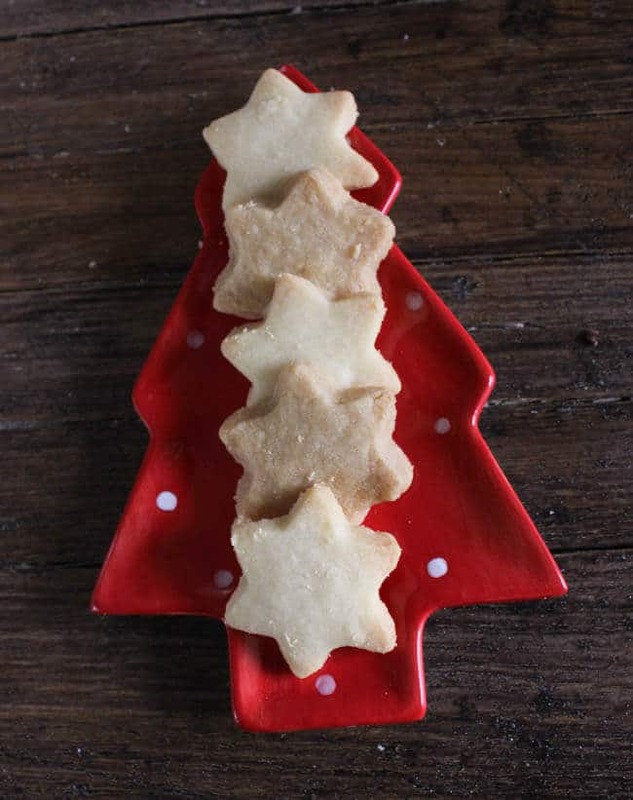 I’ve tried many shortbread cookie recipes , this has to be the best. I will be using your moms recipe from now on. Thanks so much for sharing. Hi Gina, thanks so much. I always go back to these too. Have a great day. Can you make make rectangular shaped cookies by putting the dough in a baking pan instead of making cut out cookies? Hi Karen, you can try it but I really don’t know I have never made it that way, if you do just remember not to make it too thick. I’ve never made shortbread before and I’ve tried your easy bread recipe before and enjoyed it. I THINK I did everything right for your mom’s version. Tastes good to me! Hi Bri, thanks so much, you made my day I love helping people to bake (and cook). And yes you teach your Mom to bake too. 🙂 have a great day. Hi dear, i tried your mums shortbread recipe and it came out lovely and very delish. Thanks for sharing dear. You’ve made my day and the kids are going to love it when they come back from school. Hi Juliet, thanks so much, so glad you like them and I hope your kids do too. Have a great week. Thanks for the recipes! I tried both ways and like them both. My husband and kids preferred the mom recipe while I preferred the friend recipe a smidgen more. I like how the dough doesn’t spread upon baking and how easy and sharp the cut out shapes are to make. I made your mom’s recipe a couple times and they were the BEST shortbread cookies I’ve ever had, but recently I have tried a couple more times and can not get them to turn out well anymore. I am STUMPED because I don’t feel like I did anything differently! They seem to stay sort of wet and gooey inside but turn dark brown on the bottom and hard on the outside. It sounds like a problem with the baking itself in the oven but I swear I can taste it in the dough before it’s even baked. Of course you wouldn’t know what the difference was between my first and last attempts but based on that description do you have any ideas? Just craving those wonderful cookies again! Hi Stephanie, thanks so much. I don’t think it could be the ingredients unless something is past expire date. So I’m pretty sure it sounds like your oven temperature is off. You can test it with an oven thermometer. I had that problem last year, my cakes would rise than fall once they were out of the oven and they never completely baked inside. And believe it or not, I just read that sometimes we smell something (in this case bad) and we can also sense the odour through our mouth. Hope this helps. Let me know. I use a similar recipe for melting moments without the corn syrup and when I bake them I swap my trays at5 mins. When I made this dough I had to add extra flour as if was too soft. I haven’t baked them yet but am about to put them in the oven and I will swap my trays. I’ll let u know how they go. Hi Sharon, thanks hope you enjoy them. Does the traditional recipe call for unsalted or salted butter? Hi Nasreen, the recipe uses salted butter (I can never find unsalted in Italy). Hope you enjoy it. Hi Pat, it should work fine with those types of cutters. And yes you can refrigerate the dough before hand, you might want to take it out of the fridge 30 minutes before making the cookies. Have fun! I made your mom’s recipe for Christmas and they came out PERFECT!!! I ended up making a second batch because my son kept sneaking them before I could dip them in chocolate. The second batch, I accidentally added an extra tablespoon of butter… they still turned out wonderfully! I dipped them in milk chocolate and white chocolate and my co-workers loved them! This is definitely my new go-to recipe. Hi Marjorie, thanks so much, so glad you enjoyed them. I know it’s hard to stop at one! Happy New Year. The cookies came out great! I will be saving the recipe for next year. I am glad you put in the tips about kneading the dough or i might have been worried, but the dough came together nicely. I used a wooden roller instead of patting to desired thickness. Hi Sarah, so glad you enjoyed them. And yes a little kneading but it does work. Happy New Year. I made these last night and they are delicious, but the mixture was very crumbly 🙁 so much so that I couldn’t roll it out. I ended up adding in some egg and that held it together. I’m not sure if it was because of something I had done or maybe the different climate? Have you found this has happened to you before? Hi Nadia, this has never happened to me or my Mom, I even had people make this recipe for me using the instructions that you have to knead the dough, at first it is crumbly but it comes together, it takes some arm strength but it works, with no need to add anything. Hope this helps. Followed the recipe exactly and they turned out great. Thanks !! Hi Candyce, thanks so much, so glad you like them. Merry Christmas. Hi! I would love to try these recipes now to be my christmas giveaways to friends, but I dont have cornstarch, can I skip it? Even brown sugar i dont have can i replace it with white sugar and how much should i put. Thanks. Hi! After reading all the comments this recipe sounds like a true winner, and I’m hoping to use it as a base for some gourmet shortbreads. I plan to make a lemon & lavendar, an orange & chocolate, and a white chocolate, pistachio and cranberry. How do you think your recipe will handle these added ingredients? HI Buffy, sounds amazing, and I think it could handle it, it is a nice sturdy dough. Let me know how it goes. Have a wonderful Christmas. I made the recipe with cornstarch. It is the same as my mother in laws recipe. They are so delicious! They need to be rolled thick so the cookie cutter has to be deep. Hi Darlene, so glad you enjoyed them and yes they have to be thick. Have a wonderful Christmas. I am a huge Panera shortbread cookie fan! I have it on good authority (wink) that the hint of lemon in their amazing cookies comes from the icing not the dough! So I would add lemon extract right to the icing as you make it, as Panera cookies are an iced shortbread….and amazing!! Hi Ann, your welcome and apparently quite a few people have iced them and loved them (my cousin included). Have a great weekend. Hi Wayne, thanks so much, I’m glad you like both! Have a great weekend. Well… what an absolutely SUPERB shortbread recipe your Mothers is!!! Thank you so much for sharing. This will be my go to recipe for ever more! ? Hi Naomi, thank you, so glad you enjoy it. Have a Merry Christmas. I am a little confused about the icing sugar. The powdered sugar I have already contains some cornstarch, so would I adjust the amount of corn starch in the recipe, to compensate? Thanks in advance! I’d like to make these but I’d like to get some clarification on the “icing sugar”. Thank you so much for the clarification! I look forward to trying this recipe. My son and I just made these cookies and they turned out perfect. So tender and flaky. The dough is crumbly at first but with a little bit of effort it eventually comes together. Thank you for sharing! Merry Christmas! Hi Maria, thanks so much, and yes a little arm work is necessary but so worth it. Thank you and a Merry Christmas to you too. Hi Nancie, so glad you enjoyed them and your grandson had so much fun. Have a wonderful Christmas. I’ve just finished baking shortbread cookies from your recipe. Everything went well. Just after baking them some of them were getting apart. I have no idea why? Can you possibly know why they are so fragile? Other than that they are very delicious. I really enjoy them. Hi Ewa, I really don’t know why, did you maybe bake them a little too long? Let me know. My mixture turned out so dry it wouldn’t clump together. I followed your recipe to the letter. Maybe too much flour? I’m in Australia….can’t think what difference that would make though, flours flour right? ….almost impossible to roll out. HI Del, sorry to hear that, I don’t know if it’s the conversion from cups to grams, but if it doesn’t come together just add more butter a tablespoon at a time. Hope that helps. Oh, these turned out perfectly! Being Scottish my shortbread recipe is the 3 ingredients only, but I wanted to try yours. They are delicious! I glazed half of them with vanilla bean glaze. Yum! Hello, would this be a good cookie to dio bottom half on chocolate? I love, love, love shortbread cookies. And these look really good. Hi Veronica, me too :). And they are really good. I was wondering how well this cookies stand up to decorating opposed to a standard sugar cookie. I use glaze and icing to decorate my Christmas cookies and the sugar cookie recipe I use is rather blah. I wondered how butter cookies would stand up to the decorating processes such as do they break easily? I have been looking for a more flavorful cookie for Christmas Cookie decorating. Thank you! Hi Amy, this cookie is quite sturdy so I think it would stand up to being decorated. I don’t think it would break easily. Let me know if you try it. hi rose, I’m nina from Indonesia. Thanks to this cookie-recipe, my family loved it. I have made using your mother’s recipe. But I give a little modification by adding chopped chocolate in the dough ? hhmm .. it was very tasty and the butter smell is very tempting, especially when baked. certainly, makes it even easier (this is what I prefer ?) ps: sorry if my english is not good ? Hi Nina, so glad you enjoy the recipes and I hope you enjoy the Cookies. Have a wonderful Sunday. Hi Natalia, thanks for your input, here in Italy we use grams also and I have a scale to measure, these are the right measurements. Believe me 2 1/2 cups of flour cannot possibly be almost a kilo. But thanks anyways. Merry Christmas. And your English is great. Hi Diana, sorry to hear they were too salty for you, but that is the recipe and my Mom and I have been using for years. I do not use unsalted butter because I cannot find it in Italy. The 3 ingredient (brown sugar) shortbread does not call for salt so if that is the one you made I don’t know why you would find it salty. Have a wonderful Christmas. Thanks for this wonderful recipe. I followed it carefully and the cookies were scrumptious. Hi Danielle, so glad you enjoyed them, have a wonderful Christmas. I am excited to try both recipes. I do have a question about freezing the dough. Should I cut the cookies and then freeze or can I roll into a log and then freeze? Hi Jasmine, what I do is bake the cookies and then freeze them. I have never frozen the dough unbaked. Hope that helps. Glad to hear that Jasmine. Have a great weekend. Hi Alex, yes is it pure icing sugar. Have a great week. Would you believe I have never made shortbread cookies?! I like to eat them though…perhaps I should try my hand at actually making them! Your freezer comment was too funny…that is definitely the case in our house. Unless it is hidden away (and hidden away well), the disappearing act happens often! Hi Michelle, really? Then you should try them, it is so easy and sooo delicious. Is it possible to substitute the flour with an equal amount of rice flour? Hi Alexzandria, I just did a little search and interesting enough yes you can substitute rice flour for regular, it’s a one for one. I would love to know how they turn out if you do make them. Hope this helps. Hi Laura, I know everyone asks about the corn starch, but to tell the truth these are the only shortbread she ever made and we loved them, still do! Why so much corn starch? Hi Wendy, actually it isn’t too much corn starch and they come out perfect. Why do you think it’s too much? Newer cook here- all purpose flour or self-rising? Excited to try these with my girls. Thanks for sharing! Hi Jennifer all purpose flour, it will look crumbly at first but just keep kneading it. Let me know how it goes and have fun with your girls. I just made a batch this morning and I have already eaten 3 ;). Hi Shannon, sorry to hear that it didn’t work out, I remade these this morning and they turned out perfectly, I think you might missed the step of kneading the mixture until it cracks, it is crumbly at first but you have to work it. Hope this helps. I think perhaps my flour wasn’t level and therefore ended up with too much. I just tossed it all together again with a bit more better and then it worked! Hi Shannon, glad it worked, when baking all ingredients have to be precise, with cooking not so much. Have a wonderful Christmas. I just finished baking your shortbread cookie recipe and both my husband and I agree, they are delicious. Thanks for the recipe. I used your mother’s recipe and the shortbread came out soft and beautifully! Thanks so much for sharing and will keep using this recipe for future use! Hi Samantha so glad you enjoyed it. I have always gone with the 3 parts flour: 2 parts fat/butter: 1 part sugar recipe. It would be interesting to see how your differ! Hi Amy, this is the one and only shortbread recipe I have ever made or my Mom ever made. Let me know if you try it. Have a great day. Rosemary, wonderful recipe. What is “icing sugar”? For your mom’s recipe as it calls for salt do you use unsalted butter? Hi Melissa, I use regular butter and I know my Mom did too. I have always used some white rice flour. But the real reason your mom’s win? The salt! Salt makes everything better. 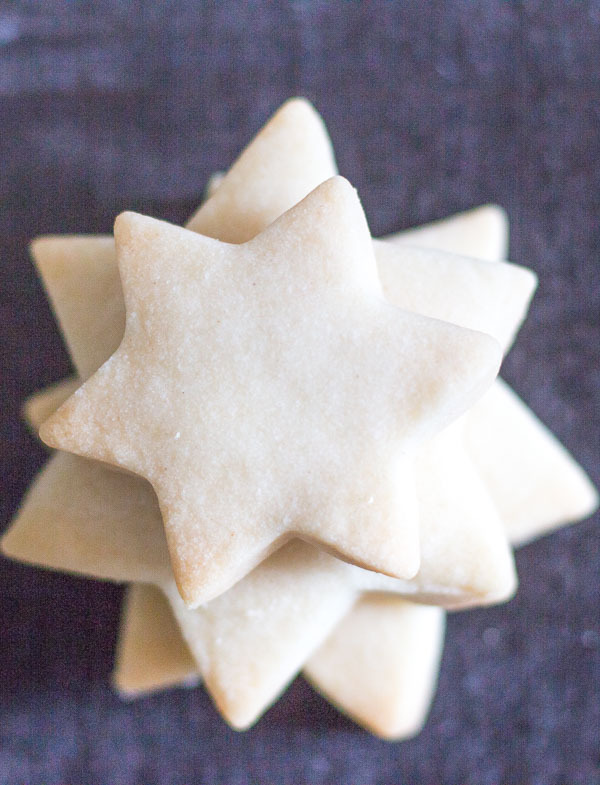 I adore shortbread at Christmas and I love the star shapes. Hi Laura, yes salt does make a difference doesn’t it and nothing like shortbread! Love these – so cute! 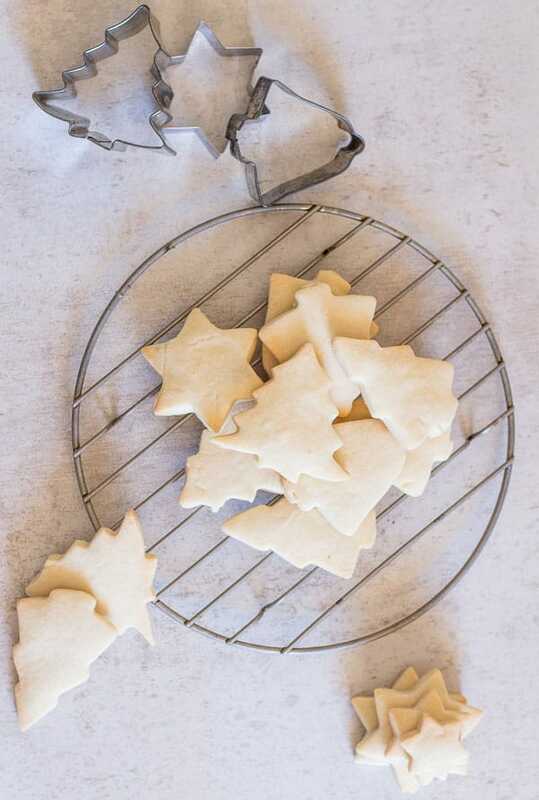 My mom used to make star-shaped Christmas cookies to hang on the tree – have bookmarked this recipe to have a go at making my own this year. Thanks! Hi Jeanne, thanks they are really good too. Let me know how you like them. Have a great weekend. Love your “battle of the shortbreads” Rosemary. I’m with your mom on this one, but honestly I’ll eat either – or better yet, both – kinds. Thanks for stopping by our Happy Holidays Link Party – be sure to join us again this week, beginning on Saturday at 7 pm ET. Being married to a Scottish man, we can’t get enough shortbread in our house. Actually, I’m the one who is the glutton over them. If you say that your mom’s recipe is the best, Rose, than I believe you! Printing and pinning! Thank you for sharing! 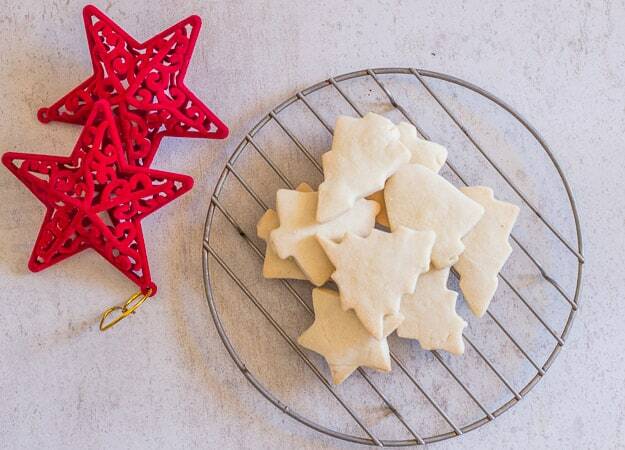 Wishing you a delicious Christmas season of baking your family’s treats! Hi Roz, Thanks, I just love shortbread, what cookies do you bake for Christmas?